10 Best Design, one of the leading awards organizations that ranks companies in the web design industry, recently released its list of award winners for this month in the Best Web Design Firm category for Philadelphia companies. The award is designed to reward businesses offering web design services that are of exceptional quality and value to their clients. 10 Best Design, recently presented its May 2016 awards for the best web design firms in Philadelphia, Pennsylvania. Happy Cog ranked first on the list, followed by Blue Cadet and Burkan Group. As a company committed to celebrating Internet marketing excellence, the professionals of 10 Best Design have given out awards in several digital advertising categories. Now, the organization's professionals are pleased to announce a new category: Best Web Design Firms in Philadelphia. This award is given to digital companies that excel in putting together intriguing, information-packed websites that help business owners effectively advertise their products and services. Review the short outline found below to see which web design and development companies topped this list. As a leading Philadelphia web design agency, Happy Cog excels in providing clients with the innovative, identity-building site services that help keep the company moving forward. In terms of methodology, the Happy Cog professionals believe that every component of the client's website is important. As such, the techies of the company optimize each product page for mobile friendliness, connectivity, functionality, and visual engagement. Additionally, the Happy Cog professionals use top-notch search engine optimization strategies to ensure that the website can receive substantive, ongoing traffic. 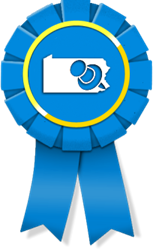 Ranking second on the list of top web design firms in Philadelphia is Blue Cadet. Business owners who are serious about getting excellent web design and development services should get serious about Blue Cadet. The professionals of the company implement diverse online advertising services to ensure that the client's website is the epitome of innovation and originality. By designing unique templates and original backgrounds, the representatives of Blue Cadet help the client's site stand out from the cookie cutter models already populating the online domain. Additionally, the Blue Cadet community uses cutting-edge responsive web design techniques to ensure accessibility across all platforms. Finally, the Blue Cadet professionals maintain a cutting edge methodology which ensures that the client's brand is relevant to the contemporary world. Durkan Group, a premier web design firm, thrives on empowering clients to develop an incredibly unique, eye-catching online presence. To make it happen, the techies of Durkan Group focus on making strategic use of graphic design elements such as color, template, background, and icon. In so doing, the client's site becomes an aesthetic masterpiece that will generate sustained intrigue from Internet audiences. The professionals of Durkan Group are also skilled in providing clients with top notch SEO help which ensures that the brand's site earns premier ranking in the search engine results pages. To learn more about this month’s award winners, please visit http://www.10bestdesign.com.